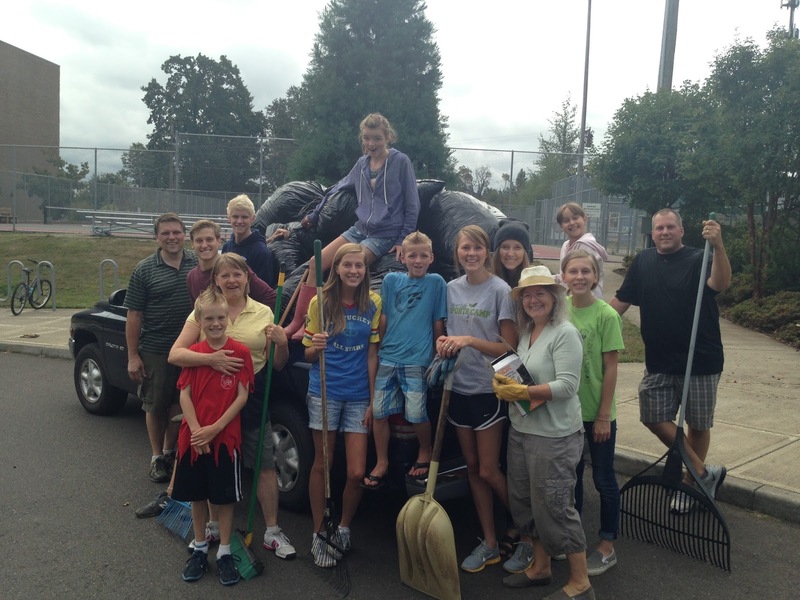 The annual cleanup day for West Linn High School was scheduled for Sunday afternoon, August 25. We already had a baptism scheduled then. Bridges to Change had their annual picnic slotted for the same time. Rather than being embarrassed by our absence, I called the coordinator. She said she'd be very grateful if we could work on the school grounds before Sunday. So, Thursday evening last week a team of Ignite students sacked 17 bags of yard debris. Saturday morning a team from the Hellweg's life group finished the cleanup around the music/theater building. Their bags filled my pickup. Turns out only a handful people came out on Sunday, in the rain. I am certainly thankful New Life Church made the extra effort to serve our neighbors ahead of time. Thank you all!